So many of us get hooked on several of the HGTV design shows and why not? They are very interesting and most have the ‘before’ buildup and the ‘after’ crescendo that is totally addicting. And binge worthy! I know many people keep HGTV tuned in all day as they go about their household chores. My favorite has always been International House Hunters since the properties are so different than the stateside shows. I’ve just got to find out which property the people pick and what they’ve done with it. But many of the stateside shows are really limited in the design variety that is shown. The shows are well done, still very much addicting, but the Mid Century Modern to Contemporary designs that are presented are just a small slice of the design themes that are possible. 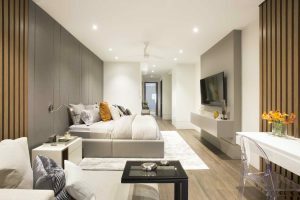 But the show formulas work because we can identify with the ‘before’ property as being somewhat similar to our own home. And the ‘after’ design solution is always a vast improvement, even though as nice as the room shown above is, there often is no clue as to who the occupants are. 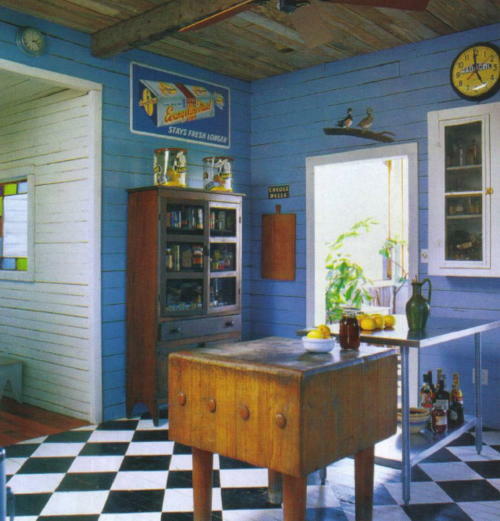 Even the beautiful, more eclectic designs that are shown seem to be over decorated, but for whom? 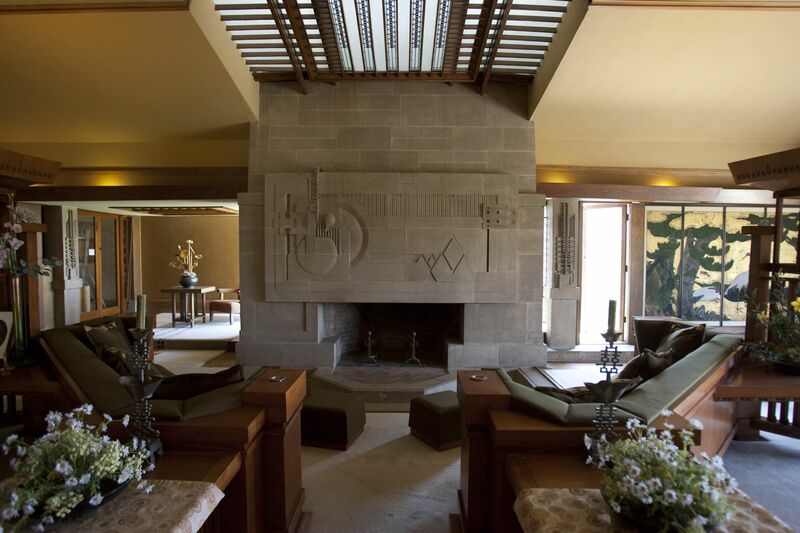 My message to all of you is to recognize that there is so much more to design than what you see on HGTV. Think about where you go on vacation. 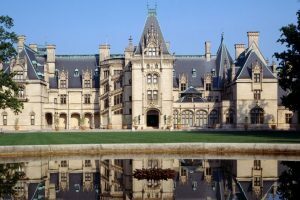 Do you go to the suburbs (other than to stay with your relatives or friends) or do you go visit places like The Biltmore in North Carolina? When you go to these special places, do you dream about living there? 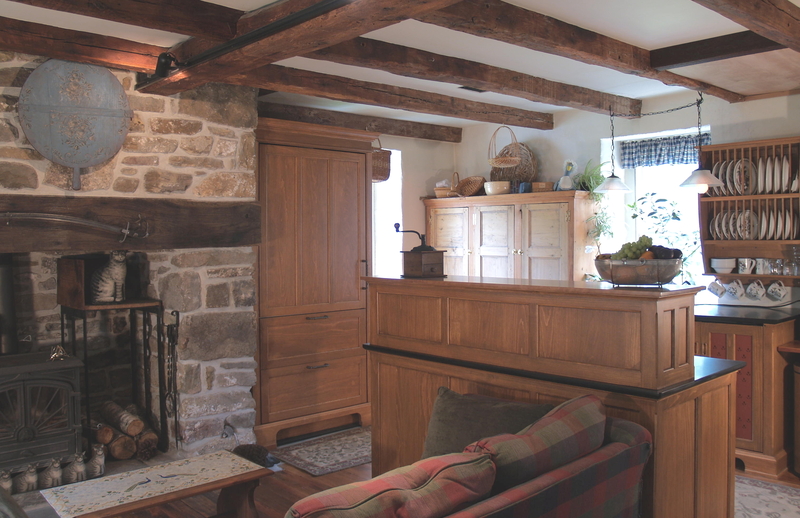 Do you know that details in many of the rooms that you see can be replicated in your own homes? But you won’t see that on most of HGTV’s design shows. And you may need the help of a talented designer to achieve the desired look. 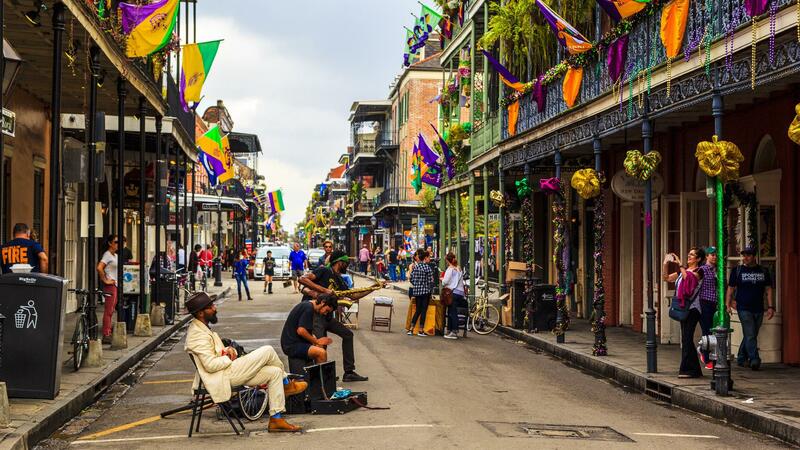 Take for example cities like New Orleans. One of the reasons that people flock to these cities is because they are visually so interesting and architecturally so coherent because they were developed in an age where the building materials and methods were so much more limited than those in our own age. 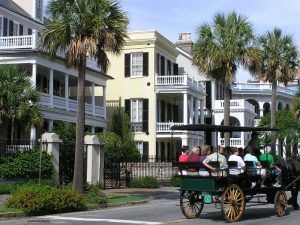 Most of us live in towns and cities that have no tourist trade, unlike Charleston, SC shown above, because even our oldest homes are mixed up with newer, more affordable construction. So our homes only have brick or stone on the front and vinyl siding on the other three sides. Our otherwise boxy houses have numerous gables on the front to achieve ‘curb appeal’. 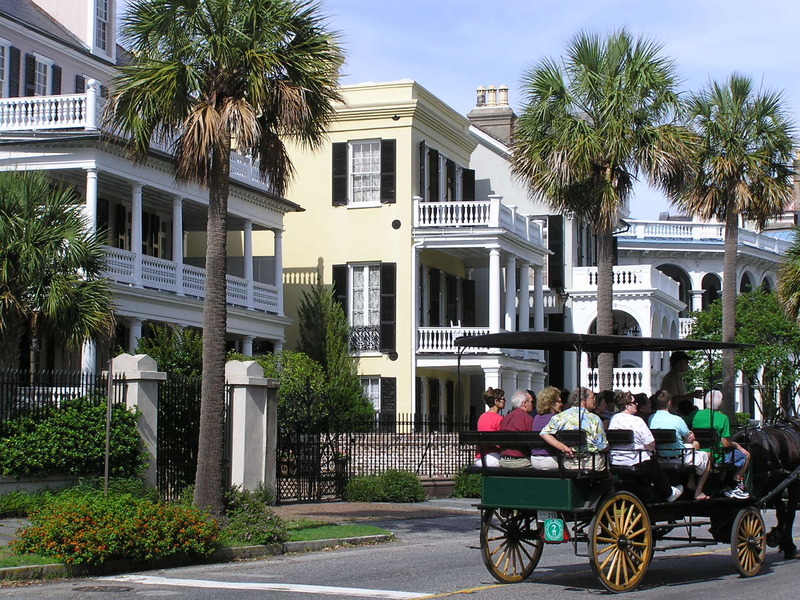 The historic homes in the tourist cities are so captivating because they have real architectural features on all sides. They are all pieces of sculpture. The interiors of the classic homes have endearing, personal qualities that have been eliminated in most of our newer homes, mostly due to budget constraints. But in a house filled with rooms of drywall, carpeting, laminated wood floors, and kitchens showing continuous cabinets, islands large enough to actually grow palm trees on and exposed stainless steel appliances , there is still room to create designs that you don’t see on HGTV. Just do it on a smaller scale. Take a room, such as a den or family room or even your kitchen, one that you will spend a lot of time in, and make it a cozy retreat. Bump up the finishes, find a design motif that will give you comfort. Bring in your personality or family heirlooms and antiques. Look at the world’s design palette for your inspiration, you can even google ‘HGTV (room of choice) images’ to find more varied inspiration; don’t just rely on the limited vision of the shows on HGTV. And don’t think that you need the ‘perfect’ look that most of the shows display. Our homes need to be made for our comfort, a retreat. They do not need to be filled with the latest and greatest just to impress others.